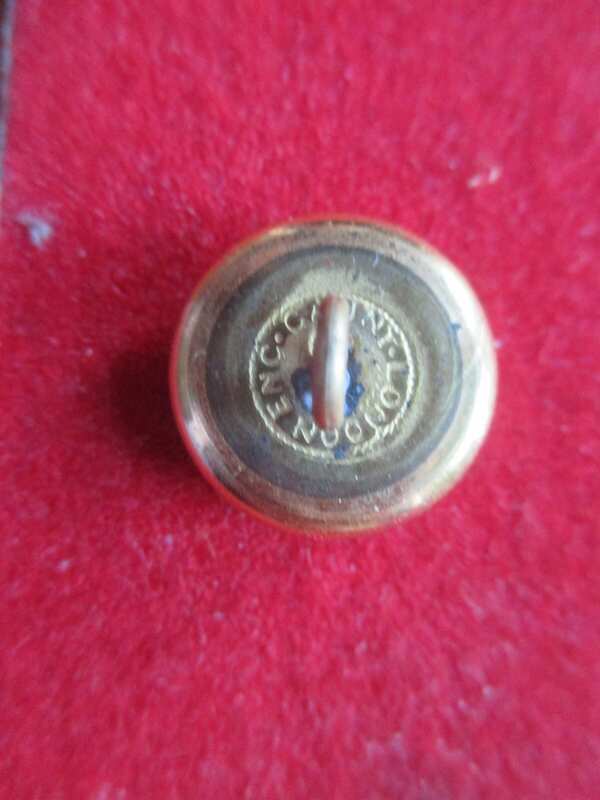 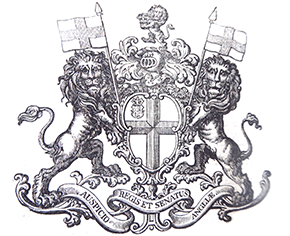 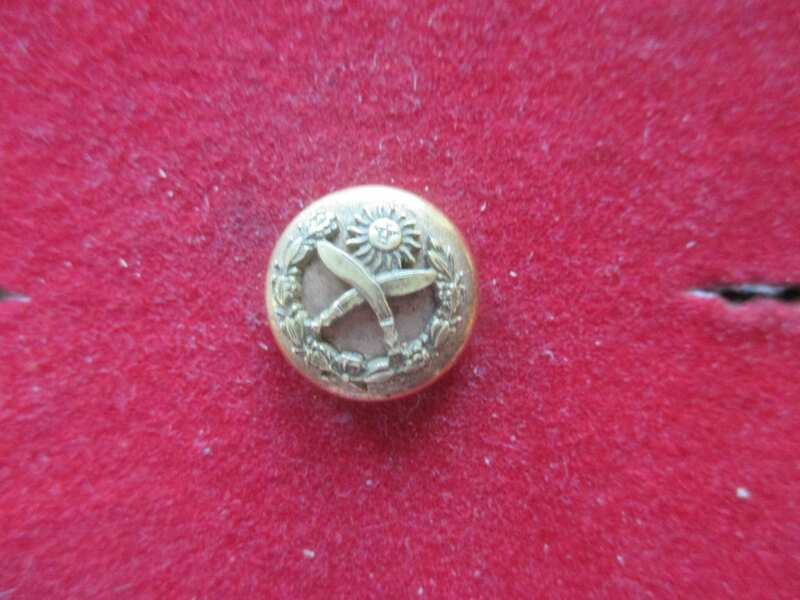 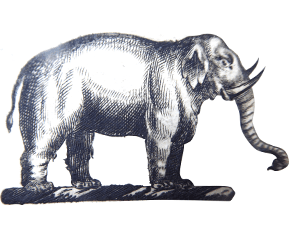 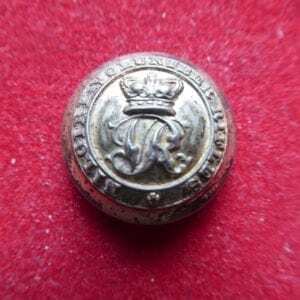 A high quality mounted gilt button of officer’s quality with the backmark of J R Gaunt London. The typical Nepalese design of crossed kukries beneath a sun in splendour is mounted in high relief on the small 15mm button. 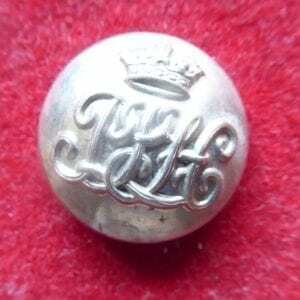 This example of the type worn in the British Army on officer’s mess dress uniform. 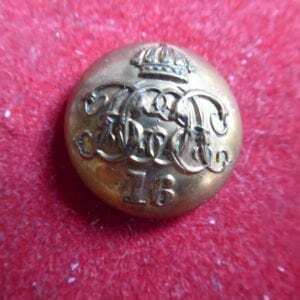 In our Gallery is an example of a Nepal general’s cap [now sold] with similar badges.